All dem Dimensions! Updated with another anouncement! Everyone wants to have their own little dimension in Minecraft, whether it be the Hayther, the Bayther, or the Fee Fy Fo Faither, but most have no purpose for going there, other than the fact that "it would be really cool" or they post a bunch of random ideas that would not blend with vanilla in the slightest. - Find dimensions that fit with vanilla MC, dimensions that will contribute to the game and improve it rather than hinder it. *We don't want anything ridiculous like a dimension made entirely of diamond, or a dimension that obviously doesn't fit Minecraft. *All the main dimensions, with the exception of The End will be accessible from the overworld, meaning you can go to them and defeat their bosses in any order you please. * Continuity is important, remember the agreed "Order of dimensions" and base your suggestions on that. *Bosses must be challenging, but not insanely difficult. 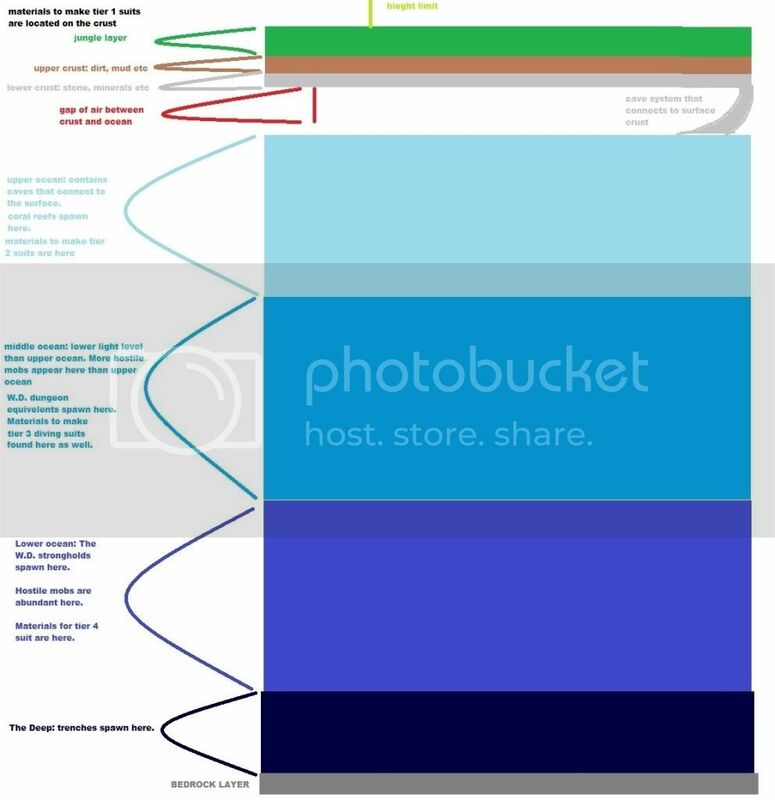 This is where all of the generalized ideas and information goes, stuff that applies to all dimensions not just one particular one. All dimensions have to have a portal. Like Nether portals and End portals, these portals link two areas of space together. While inter-dimensional travel is quite complicated, I'll spare you the details. Though all portals are meant to do the same thing, serve as transportation to a dimension, there are actually 3 different types of portals, each with distinct features to them. Below, I have made it simple by classifying the different types. There are 3 types of portals, "Static" (S portal), "Dynamic" (D portal), and "Semi-Static"(SS portal) portals. Static portals are portals that are generated by the game in a certain place. Static portals CANNOT be moved OR be created by the player, requiring them to be found before there able to be used. Dynamic portals are portals that are created by the player with blocks. Unlike static portals, Dynamic portals can be made anywhere, and can be moved whenever you want. Semi-static portals are basically a hybrid of both Static and Dynamic portals. Semi-static portals come in 2 types. Type 1: A type 1 SS portal is generated by the just like a Static portal, and also like a static portal, the player must find the portal in the world. But unlike a Static portal, once found, a type 1 SS can be mined and moved elsewhere. Type 2: A type 2 SS portal must be created by the player just like a Dynamic portal and can be moved by the player at whim. Unlike a Dynamic portal, however, it only works in specific places. - Requires the player to have certain materials to create it. There are currently no portals in Minecraft that are of this type. Main dimensions are dimensions that contain most of the content in Minecraft. They contain important items, and the portals to the Main boss dimensions. Boss dimensions contain bosses of course. They are made specifically for the boss they house, and usually don't have many dimension exclusive items other than what the dimension is made of. - Dynamic and type 1 SS portals do not work in these dimensions. Side dimensions are dimensions that are purely optional to go too. They contain minor bonus content and treasures that aren't needed to beat the game. After a lot of discussion, we have decided to have the dimensions be in sort of a tree-like system. All of the Main dimensions, with the exception of The End, will be accessible from the Overworld. As you can see, you still need to beat all of the other bosses before accessing The End, but you can fight them in any order you please. Also, there are side dimensions that branch off from the main dimensions, which can only be accessed from that particular dimension. The side dimensions will probably relate to their main dimension in some way. - To get to The End, all of the other Main Dimensions' bosses must be defeated. - It is likely that there will be other "side dimensions" that will either not have bosses, or have optional Bosses and/or "Mini-bosses"
The Official boss suggestion form! Made by Rabidbadger! tweaked by Jellomob! Each dimension's boss should have some very distinctive qualities that make them unlike the bosses of other dimensions. There are several variable qualities that can be made as separate as possible to make the bosses unique. How the boss looks, what it is. They should NOT be dragons, as we already have a boss dragon. They should probably also not be re-skinned, overpowered versions of existing mobs. The point of a boss is that it is very special, and as such, unique. Where is the boss found? How does the fight initiate? E.g. End Portal. What does the area you fight the boss in look like? What parts of the environment could you or the boss use to your advantages? E.g. The End. Flying, swimming, walking, etc. Basically, whether the boss is air, water or land based. E.g. flight for the Enderdragon. Whether it be firing projectiles at you, spawning mobs to drop on your head or just plain melee assault. E.g. flying into you, coupled with the threat posed by a large amount of Endermen for the Enderdragon. How does this boss change the landscape around it? What can it do to certain blocks or things to give it an advantage? E.g. Enderdragon block destruction. The way in which you have to fight and ultimately slay the boss, something other than plain brutalizing. E.g. having to shoot the regeneration crystals to break them before you can think of slaying the Enderdragon. The aesthetic effects of defeating the boss, and what happens after it dies? Does the boss split into two smaller, weaker entities on death, or such a thing? E.g. Enderdragon dissolving in a ball of purple energy. - Assuming that we have one major boss per dimension, Overworld should have a ground-based mob, Nether should have an amphibious/lava-based mob, [Genericwaterdimension] should have an aquatic mob, Aether/Skyland should have a flying boss, as should The End. Not, of course, mentioning any other dimensions that we could have, but five seems a nice round number for now. Bosses should all be unique. A base set of variables can be used to think of ways to make them very different. All the bosses should be beaten to access the final dimension. Stuck in a different dimension? Can't find that boss portal? Don't worry, we have that covered! Traveling through different dimensions can be difficult, so sometimes you just need a way to get back home. For that, we have pearls. Pearls, when used in there native dimension do nothing, but when you are in a different dimension, they will act as an abort button, sending you to your spawn point in that dimension. Pearls only have one use, and cause a bit of damage when you use them, so be careful. Pearls are crafted with an ender pearl, and materials exclusive to their dimension, so you would have to have visited that dimension to be able to make its pearl. An example of how fire pearl might be crafted. Fire pearl: More legit crafting concepts needed! Sprite concepts needed! Water pearl: Crafting concepts needed! Sprite concepts needed! Sky pearl: Crafting concepts needed! Sprite concepts needed! Earth pearl: Crafting concepts needed! Sprite concepts needed! All of the main dimensions have boss portals, and you can't just wander around the dimension aimlessly trying to find them. Eyes, like pearls, are crafted using an enderpearl, and materials found exclusively in that dimension. Unlike pearls however, they have unlimited uses. Nether eye: Crafting concepts needed! Sprite concepts needed! WD eye: Crafting concepts needed! Sprite concepts needed! Skylands eye: Crafting concepts needed! Sprite concepts needed! overworld eye: Crafting concepts needed! Sprite concepts needed! Thanks to auquamarine518 for the sprite! Eyes lead you to a dimensions boss portal. The current system is rather lacking, it is quite annoying using Eyes of Ender to locate strongholds, and this system of them flying into the air and falling down will be a pain in the nether with all those lava lakes. So I came up with a possibly better alternative. 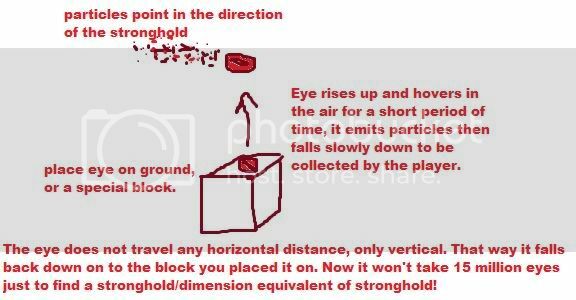 You place the Eye on the top of a block, it floats up into the air slightly, emits a trail of particles in the direction of the stronghold, then floats back down to be collected easily. The art is crappy, but the concept is there! Would like some feedback on this. New gameplay options should be forthcoming with each dimension. *The nether allows you to obtain blaze rods to make a brewing strand, other dimensions should have some sort of new gameplay mechanic implemented with them as well. *Gathering certain materials and crafting them with a utility block like a furnace will upgrade it! *This "level 2" furnace is more efficient (smelts more blocks on one piece of coal, wood etc. ), and smelts faster than a normal furnace! *Resurrect mobs from the dead to serve you! This is where all the proposed ideas go for now, later on, once these ideas are polished enough, the "Daughter threads" will be made and users will be put in charge of them. Once we have all the threads running, it will be just like a mini-forum if you will. 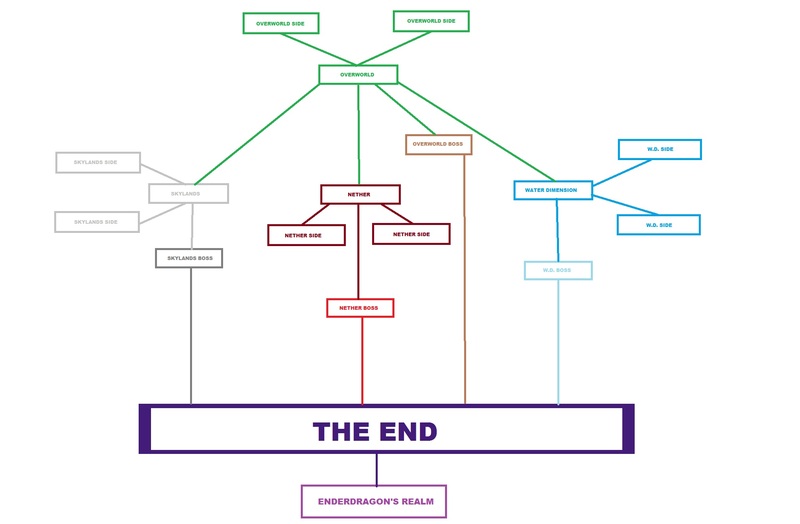 All the threads would be interconnected via links, and this thread will become the generalized dimension thread, where the information and ideas that apply to all dimensions goes. There will be a brief description and some pictures for each dimension, and a link to that dimension's thread. I can't manage 5 threads at once, so "Thread Admins" and "Thread Mods" will be necessary. I will check on the other threads every once in a while to make sure everything is in order of course. "Thread Admins" are basically the people put in charge of making/managing the threads. They also will act as "Thread Mods" as well. I would also like to make sure everyone knows, THESE IDEAS ARE SUBJECT TO CHANGE, THEY ARE NOT 100% FINAL. WE ARE OPEN TO SUGGESTIONS AS WELL AS POSSIBLE BETTER ALTERNATIVES TO THINGS. The "Main Dimensions" of Minecraft, they contain most of the content in the game. The Water dimension is just that, dimension of water, Characterized by a vast ocean hidden underneath a thin crust. 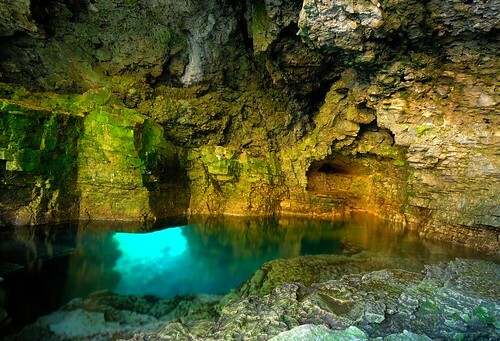 This "crust" is covered by a dense jungle and is littered with enormous holes that lead to the world of water below. 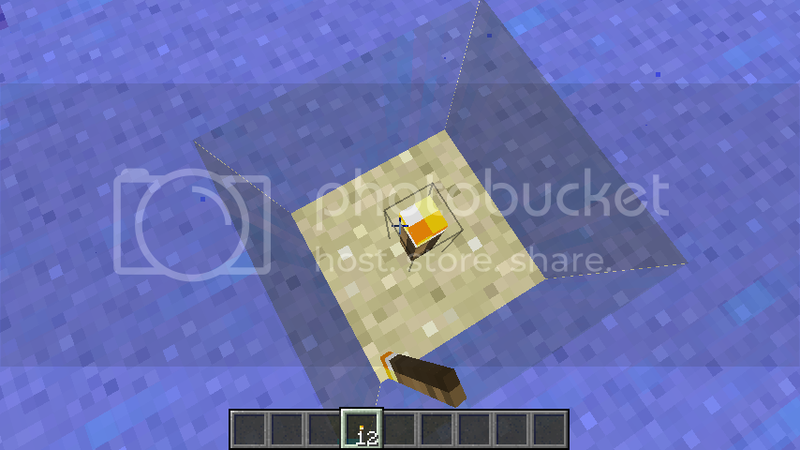 When you spawn in the Water Dimension, you will always spawn on the crust. This is to prevent players from spawning in the ocean and insta-drowning, and it also supplies the necessary materials to create a tier 1 diving suit. The Water dimension has several layers, each with their own features. The crust is the thinnest layer in the Water Dimension, It is covered completely by a dense jungle. This jungle is the only source of wood in the WD, and it contains many different tropical flowers that can be crafted into new dye colors. The crust contains the materials needed to craft a tier 1 diving suit, allowing players to start diving without having to make a suit before entering the dimension. 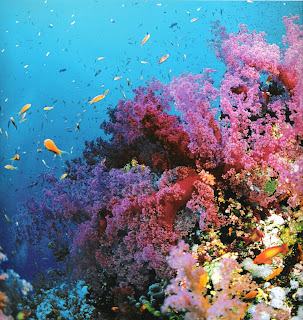 The Upper ocean is the layer closest to the crust, It is most populated by passive and neutral mobs such as fish and sea turtles. This layer receives the most light from the surface and contains such structures as coral reefs, and cave systems that connect to the surface. The materials needed to make a tier 2 suit are found here. This layer receives less light than the upper ocean, and has more hostile and neutral mobs. The lower ocean receives no light at all, and hostile mobs are abundant. The Water dimension's stronghold equivalents, underwater ruins, generate here. Since it is quite dark here, many bio-luminescent mobs spawn here. Underwater vents create bubbles that can refill your diving suits air meter. Deep oceanic trenches generate here. The materials to craft an "Eye of Drowned" are here, though we haven't figured out what yet. * Red text indicates possible problems with the idea that need to be worked out. * Orange text indicates that the idea may need to be fleshed out a bit more. * Blue text indicates that we need concept art for the idea. * Purple text means the idea may be dropped, usually for a better alternative, or because it did not work out as expected. * Green text is just additional comments. Consumable air refills. These refill one air bubble on the default oxygen meter, and 15 seconds in a diving suit. Right click while holding a bubble and you will consume it like food! Preferably without the NOMNOMNOM sound effect. They are dropped by most mobs in the WD, so stock up on them! They are used in crafting Big bubbles and Bubble torches as well. *"Eating" a bubble should not last as long as it would to eat food, since it only restores 15 seconds in a suit, and those seconds count! Consumable air refills. Crafted with 4 bubbles. They refill 4 bubbles on the default meter, and 1 minute in a suit. Some bigger mobs will drop these naturally as well. They are used to craft Bubble blocks. Crafted with 4 Big Bubbles. Basically a place-able an air block. *We need to work out the physics on this. You can't place one in the middle of the ocean. Dropped by the glowing jellyfish in the WD, used to make glow torches! *Needs more uses! Suggest some! Crafted With a torch and a bubble, creates a torch with a bubble of air around it. This is for the people who don't necessarily want to murder the cute jellyfish for their glow goop. Crafted with a stick and glow goop from Jellyfish mobs, basically a torch but it has goop where the fire is supposed to be. *Currently, when you place a torch in water (other than it being removed almost instantly) it creates a pocket of air. This is likely because the space around the torch is air by default. 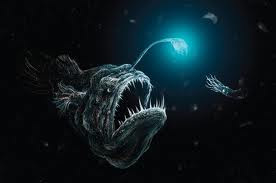 We obviously cannot have this with our underwater torches, as it would be exploited by players to obtain oxygen, and it would be really ugly too. A possible quick fix for this, would be to have the area around the UW torches to be water by default. This of course, would mean that UW torches could not be placed in air, and they would be auto-removed like normal torches in water if you try to do so. Seaweed is similar to sugarcane in the fact that it grows vertically gradually over time. Seaweed can only be placed underwater, it will grow up to 3 blocks tall, but only if there is at least two blocks of water above it. Seaweed can be crafted with raw fish to make sushi! * We need an in-game concept of this. I would suggest re-texturing Iron bars, since they can be placed underwater. Crafted with seaweed and raw fish. * How much hunger is restore has not been decided. * How many are made per craft has not been decided. * I will add crafting concepts after we have a sprite for both sushi, and seaweed. Coming soon to an OP near you! To be added in the near future! Updating at a later point in time! The End as it is now, is a boss dimension. You go there through a stronghold portal, fight the Enderdragon, and the game ends. That's it. But all that is going to change. As of now, The End will be a full-fledged "Main Dimension"! What about the Enderdragon you ask? Don't worry, we have it all covered. 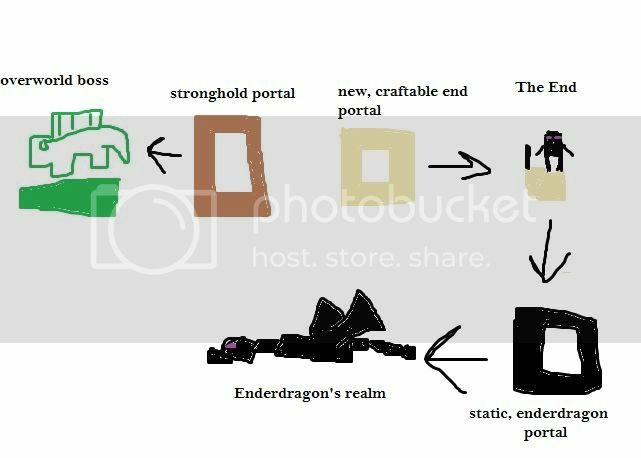 The Enderdragon will get a new boss dimension within "The New End" and stronghold portals will instead go to the Overworld's boss dimension. We should focus on the Main dimensions first, for now this is just a placeholder. Want to sow your support? Wear one of our banners! Just copy and paste the code into your signature! All the people who have contributed to this thread! spudmonkey He made the awesome banner at the top of the thread, as well as a sig support banner. He helped me get this thread started, this thread would have gotten no where without him! Thanks! CAN_Archer He made a sig banner for this thread! Thanks! onelastorphan He made the awesome item sprites for the WD items! aquamarine518 She made the eye of earth concept sprite! Mad Cowboy He made a fire pearl crafting concept! HumanPorcupine texture artist, he also made a banner! V4n1ty Texture artist, he also made a banner! The All Dem Dimensions forum should help ideas get noticed and organized in a much more efficient manner than just having this one thread here. It's still a work in progress, but we have a web coder, Kazuja, to make the forum look pretty! We currently have discussion sections for the five main dimensions, and a discussion section for side dimensions as well! I have had a few ideas, but I'm waiting for them to be fleshed out in my mind enough to add a significant amount to the game. I think they fit fairly well with vanilla Minecraft, but then again my idealized Minecraft is very different from many others. Minecraft makes me feel like I'm three. Playing with blocks and afraid of the dark. It's not about how much it would add to the game, it's about whether or not it improves the game. Even a simple idea could improve overall gameplay dramatically. Ps. Posting from my new iPad, I have to say it's kinda weird typing with a virtual keyboard. Old world generation code, old monsters, etc. Bloodsteel and Nethersteel Check it out! Yeah and that could take you to like, an ice age or jurassic type dimension perhaps! But dirt and wood is too easy...You should have to have a nether shaped portal but instead with netharack and you need to have a minecrart go through it really fast! -New item: Flare, to distract large deadly predators. It IS just a simple idea, but so was Minecraft when it started out, and look at how great it is now. Hopefully someone will read this, because I really hope this idea doesn't just fly out the pooper. You win the approval of a person on the internet whom you're most likely never going to meet [Me]! Already done. In order to go to the End, you have to mix Ender Pearls with Blaze Powder, which is a drop from Blazes which spawn in the Nether. Lol, well I still think it's a great idea. First of all, read the whole post, not just snip-its. You can't just take part of a post and say it's been done already. second of all, yes, that's the idea, but with NEW dimensions. The Aquea? Kinda like aqueous but it is a dimension name? What each dimension needs is a special purpose to the world of Minecraft. Sure, being able to there on your own is important, bu you need a real use for it. Somewhat like the Nether allows you to brew potions. New gameplay options should be forthcoming with each dimension. Furthermore, dimensions should, in my opinion, have some entirely new mobs, not just reskinned mobs with a few party tricks. Kinda like how the Aether's Aerbunnies are completely unique and useful ways of getting string. At least, that is what I think on the matter. As the Nether is a more arcane hellhole, I see potions as being related, even is only loosely. I would suggest that an underwater dimension have items that widened the realm of underwater life, as well as somthing like a utility enchanter. Something that, instead of enchanting items, can be used to enchant boats, minecarts, etc. So your fuel minecarts can get bonuses to climbing hills, and can be made more fuel efficient, as well as getting speed bonuses. Your normal minecarts can have enchantments to reduce the effect of gravity on them, so they are slowed down less by going up hills, but also ned to be pushed down them. Stuff like that. Or such a thing could come from another dimension. Anything goes, really. If each dimension needs a boss, the nether boss should be a Lava Shark. Im sorry, I can't seem to figure out the point of this thread, what exactly are you trying to accomplish? Im not trying to be rude, im just confused of as to what this thread is trying to do. Here are my three ideas for dimensions. Half of the ideas i made myself and the other half i took from other people and the aether mod and changed then so it would fit into the core game of minecraft better. remember, they are not finished yet and im still coming up with ideas. The point of this thread, is to find a reasonable and realistic way to add new dimensions to vanilla minecraft. some of the ideas for new dimensions out there are just "new dimension! go here it's cool!" and that's it, none of them ever suggest how the dimension would improve minecraft at all, and/or they just want to be known for having their own dimension added minecraft. most of this stuff was taken from other ideas. Don't take me the wrong way, there is a thin line between an idea that was "inspired by" and just plain stolen. You unfortunately are on the "stolen" side of that line. i acually don't see how its stolen. I took what notch had, i took what the aether had, and i took what i had, and then i made it so it would fit into the core game of minecraft. If you don't want any of my ideas then fine by me, ill just continue coming up with ideas for the topic there.